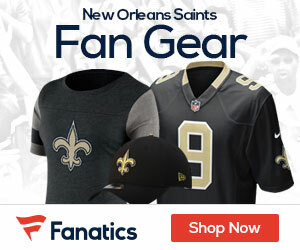 Mike Silver of Yahoo Sports reports that according to a highly placed Saints source, former Saints defensive coordinator Gregg Williams had been essentially fired by coach Sean Payton, who sought a sharp change in defensive philosophy. In January, Williams’ lateral move to the St. Louis Rams was publicly portrayed as his own decision, but the source said Payton had made it clear that the Saints were moving in another direction. Williams couldn’t be reached for comment. At least one New Orleans player believes Payton’s decision to replace Williams with recently fired Rams coach Steve Spagnuolo was a move for the better, given the way offenses had adjusted to the Saints’ blitz-happy approach. Enter Spagnuolo, who before going 10-38 in three seasons in St. Louis coordinated the New York Giants’ defense during the team’s stirring run to a Super Bowl XLII triumph. While the upheaval caused by Payton’s yearlong suspension has received the bulk of the attention from outsiders, the Williams-to-Spagnuolo switch had already triggered a seismic shift within the building. In theory the dramatic schematic change makes the Saints less predictable, and less vulnerable to the big play.